A copy of the certificate of analysis (CoA), printed back-to-back with a product information sheet, will accompany every product shipment. These documents together with safety data sheets (SDS) are also available online. To find them locate the relevant product information page. 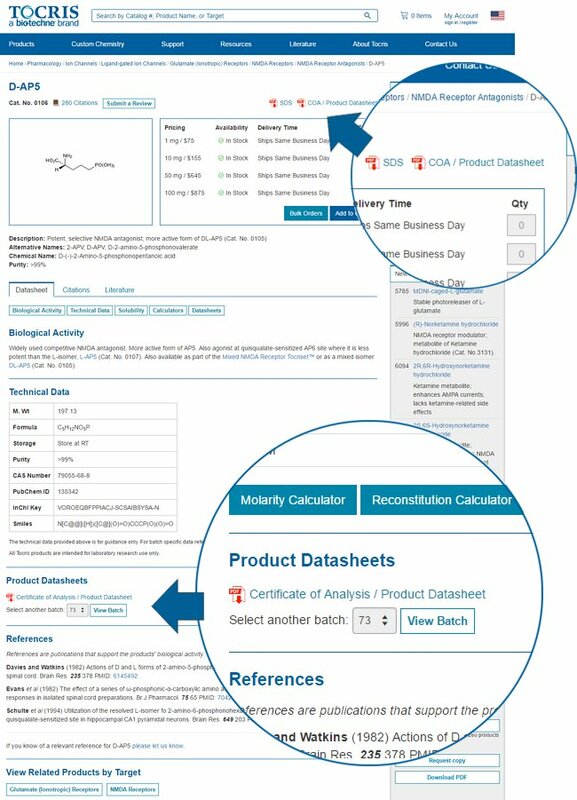 Quick links are located at the top of the product page to help you quickly locate the datasheet section on the product page. The default CoA and SDS are always for the batch currently on sale; to view earlier batches select the batch number from the drop down menu and click the "View Batch" button. A copy of the SDS will not be included with each individual product when shipped.